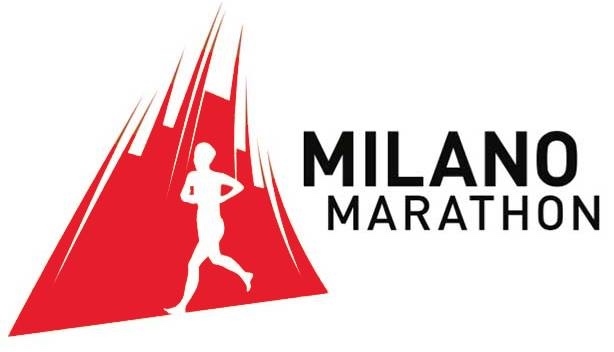 Here is our Milan marathon race review, based on our experience of taking part in the event. We had completed a 16 week training plan for this marathon, and our best previous marathon time is 4 hours 25 mins - just so you have an idea of our race pace. We arrived in Milan on Friday 5th April, after a 2 hour flight from Valencia, Spain. This flight makes Milan relatively accessible, although the Ryanair flight lands at Malpensa airport, which is 1 hour north of the centre of Milan via the Malpensa express train. The train was clean, smooth, and only cost 13 euros. Ticket purchase from a machine at Malpensa airport was quick and easy. Overall, flying into Malpensa was fine, but next time around I would look at flights to Linate airport, which is closer to the city. Flights may be more expensive than to Malpensa, but you save the cost of the transfer, and also time. On the return journey, we underestimated the time needed to get to Milan Central Station, and the time it would take to negotiate our way through the station. Lesson; Allow 20 minutes just to get through the station to the correct platform. Once we got back to Malpensa airport, the queue for security was horrendous. After clearing that we had to walk a mile to get near our gate. Lesson; Allow 30 minutes+ , just to get through the airport - and that's with NO check-in baggage! This marathon is among the less expensive marathons that we have run. The marathon entry cost 52 euros. Because we don’t belong to an official running club, we had to buy the RunCard (another €15), and then get medical examinations too, which cost 100 euros in Spain. This was for an ECG, a stress test, spirography, and a urine test.So I guess you could say that the total entry costs was €167, but that's partly down to us not being members of a running club. The doctor then has to certify that you are fit and healthy enough to run a marathon. SO, the better solution is to join an official running club beforehand! This will avoid the extra cost of the RunCard 15 euros, and the need for a medical exam. We were quite lucky here. I looked for accommodation near the start/finish area, and found a nice apartment on VRBO. This turned out to be VERY close indeed – on Corsa Venezia 33. Unfortunately we had to go around the block to get into one of the official entry points to the park (a long queue), then queue again to get through into the entry area, then wait at the bag drop area, before finally getting to the starting pens. When we looked around, we realized that we had come in a big circle, and we were close to the front door of our accommodation! We could have saved an hour by just coming out of our door and joining the back of the queue into the start pens! Our apartment on Corsa Venezia 33 had an elevator up to our floor (3 of 4); The bed was very comfy, wide and firm; there’s a washing machine to wash your run kit after the race, and a drying rack to hang your stuff on.The apartment is very warm, and our laundry dried very quickly. The shower was good, with a big shower head and unlimited hot water. This involved a trip across the city to the Milan Convention center (MiCo). We used the underground train system, but still ended up walking way more than we wanted on the day before the race. Once into the MiCo, you have to walk the entire length of all the exhibition stalls (most of which are selling other marathons), before you can get your race bag and goody bag. To be fair, you could just collect your race number near the entrance and walk out again – but we all like to get the race bag too! And some exhibitions are good if you want to pick up some new gear, or buy a T shirt or top with the Marathon name or logo. NONE of this applies to the Milan Expo. It was the poorest expo we have been to in 12 marathons. Our recommendation? Just get your race number near the MiCo entrance, and walk out. Don’t bother trying to get your other stuff – it isn’t worth it! If you DO want to get your T-shirt with race logo, go for a bigger size than you would normally. They come up small. I normally get a Medium, but here I really needed a Large. As I just said, there was a long queue to get into the park, which involved getting your drop bag checked by security personnel, and you had to walk through an airport-style scanner. Once into the park, it was an easy stroll to the changing tent and bag drop areas. However there were very few toilet facilities, causing massive queues in the park. After the bag drop area, there are more toilets just before the start pens, with only a few people waiting in line. This is a relatively flat race, with only one slight incline up and down after the start, and one underpass under a road. So yes, it’s FLAT! Most of the race is on road, but there are some sections over large paving stones and tram lines, which need your attention! There are plenty of water and energy stops with oranges, bananas, biscuits, plain water and isotonic drinks. At the 30km mark there were also extra gels. The route itself is quite varied, with many twists and turns, so you don’t get too bored with long straight sections. There are not many interesting sights to see, other than the Duomo, the San Siro football stadium, and a castle. Mostly you are running through cityscapes. And some industrial areas. The course map seems to show that you will run through a grassy park, but the route actually runs on the perimeter of the park, and you are running in a narrow lane, against cars! There are some toilets along the route, but not many. Most water stops have a portaloo, but not all of them. Unfortunately, there was also a relay marathon taking place at the same time. There were 6303 runners in the full marathon, and 3500 teams in the relay. This meant that we were being constantly overtaken by the relay runners, and they didn’t mind barging through the main marathon field. With some sections being quite narrow, this resulted in congestion and a lot of physical contact between runners! Not great after you’ve run 20 miles, only to receive constant buffeting from the relay runners coming through. After the race, getting your medal and post-race bag was handled quickly, and we retrieved our drop bag quite quickly. We were looking for the stand with drinks and food at the end, but the post-race bag was all there was. It had a bottle of water, a bottle of isotonic sports drink, a banana, an apple, and an orange. Fortunately we only had to walk back round the corner to our VRBO apartment, and we were stretching with beer within 15 minutes of crossing the finish line! More than 25 hours after finishing, we have still not been able to access any results nor photos online. The after- race organization seems rather slow. Visiting from Spain, we found it expensive to eat and drink in Milan. For example, we paid 8 euros for a 25cl bottle of Heinekin lager, in a small bar/coffee shop. A glass of wine was typically around 7 euros. Central Milan is very trendy / chic, with all the big-name luxury brands having stores along the streets. We saw numerous Lamborghinis, Ferraris and Maseratis tooling down the street. If you are coming from London or another big city, you may be used to this sort of thing. For us, it was just “expensive”. In conclusion, if you want a flat course with a PB chance, and you will be ahead of the relay guys, you will love it. If you are more of an average runner, the relay might irritate you! 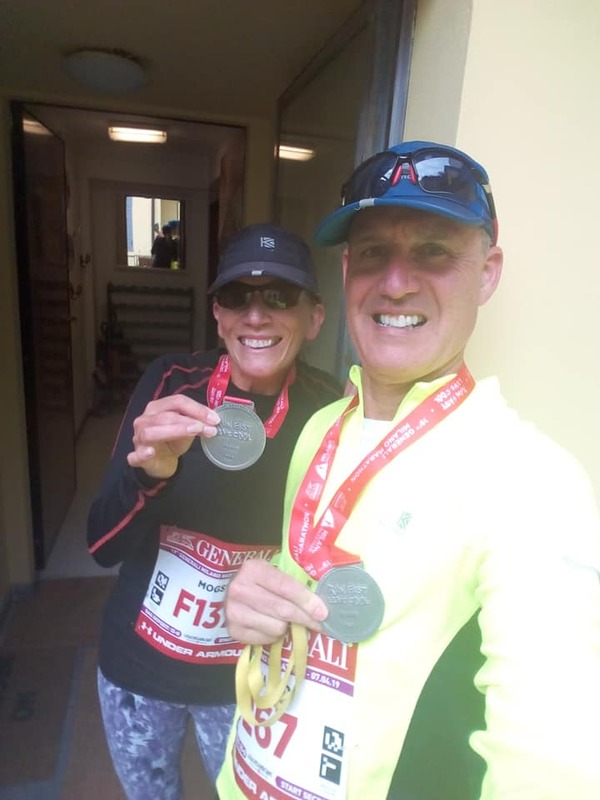 We are glad we did this marathon - we did it as a training run for our big swimrun event – we wouldn’t do it again though due to the expense of the medical and the relay runners and a not very exciting route!